Seek the Lord while He may be found, Call upon Him while He is near,~Jeremiah 55:6. The platform and foundation of my life is intimacy with God. Intimacy with God is so crucial to understanding the Word of God and living an abundant life. One of my life verses is John 15:5. Jesus said, “I am the Vine and you are the branches. Apart from Me, you can do nothing.” The Father, Son, and Holy Spirit are one, in perfect communion, unity. If we are to know God, we must abide in Him. Over the years I’ve met so many people who can quote me verses of the Bible and miss the heart of God. Even some who can defend their prejudice or sexism based on passages of the Bible. People defended slavery with the Bible. People still defend sexism with the Bible or the oppression of women. I began to investigate why so many people had an image of God that did not match up with the whole of scripture or the heart of God. We are trained to memorize the Bible instead of allow the Bible to lead us into an encounter with the One who inspired it. I grew up in church. We went several times a week. My dad is a pastor and evangelist. My mum was my Sunday school teacher. I heard the Bible over and over and over. I watched my parents live it. Yet it wasn’t until later in life that I truly began to get to know God on an intimate level. What changed? This burning desire grew inside of me to know His voice and know Him on a deeper level. I read in the Bible that God showed up and revealed Himself to His people. He wanted relationship. The foundation for growing relationship is communication and it is also built on experience. God longs to connect with us. Talking to God is great. Hearing His voice and listening to Jesus pray, that’s life giving. Living life with God instead of Him being a Sunday morning activity is the best. I wrote a book. I write Standard Operating Procedures. If you simply read what I write, talk to me about your problems, visit me once a week, and never inquire of me or listen to me, you will not know me. If you only spend time with me in the same setting, you won’t truly know me. The people who have camped in the jungle with me on missions know more about me than those who meet with me for coffee every so often. We forged intimacy through proximity and life experiences, some of them quite challenging. Those who have done missions with me don’t know me like those who have been roommates. I’m not extroverted. I spend lots of time reading and being alone with God. Those who live with me know I’m not a social butterfly. I’ve learned and by the help of the Holy Spirit how to engage with large groups, be outgoing. He’s teaching and helping me continually. Also intimacy (knowing, oneness) with God leads me to want to love and connect with people. The Bible is to lead us into an encounter with God, not replace relationship with God. His word reveals Him, it does not contain Him,~Kris Vallotton. There’s also a level of intimacy that is forged in challenging seasons. Those who attempt to bypass all challenges in life forgo the opportunity to know the power, sustaining power, comfort, healing, and miraculous works of God. During the hardest seasons of my life, a best friendship was forged with God. I learned He’d sing me to sleep when I was crying tears no one saw but me and Him. I learned He’d feed me when I was working three jobs trying to complete two degrees. I learned God would defend me when I suffered under 7 years of persecution (some at work and some through Christians). I learned God was stronger than death as I faced near death experience after another! 7 of those too…if I count right. I learned the sustaining comfort of God when I had to bury my mum. I learned the provision of God as He sent people to send checks in the mail during times of crisis. I learned the love of God (still learning) through all the peaks and valleys we’ve been through together! Don’t bypass the process of getting to know God in every season. So, for you and I…I pray we seek God and have continual dialogue with Him. One associate joked that all I do is pray (like I’m locked in a closet somewhere all day). Nope. I have continual dialogue with God (that’s prayer). At the grocery, at the park, at work, in the car, working out, playing guitar…all day my heart and spirit is open to His. I leave you with these keys that have been deposited along this journey. 1. God wants an intimate (knowing, oneness) relationship, to be the closest person to us. 3. 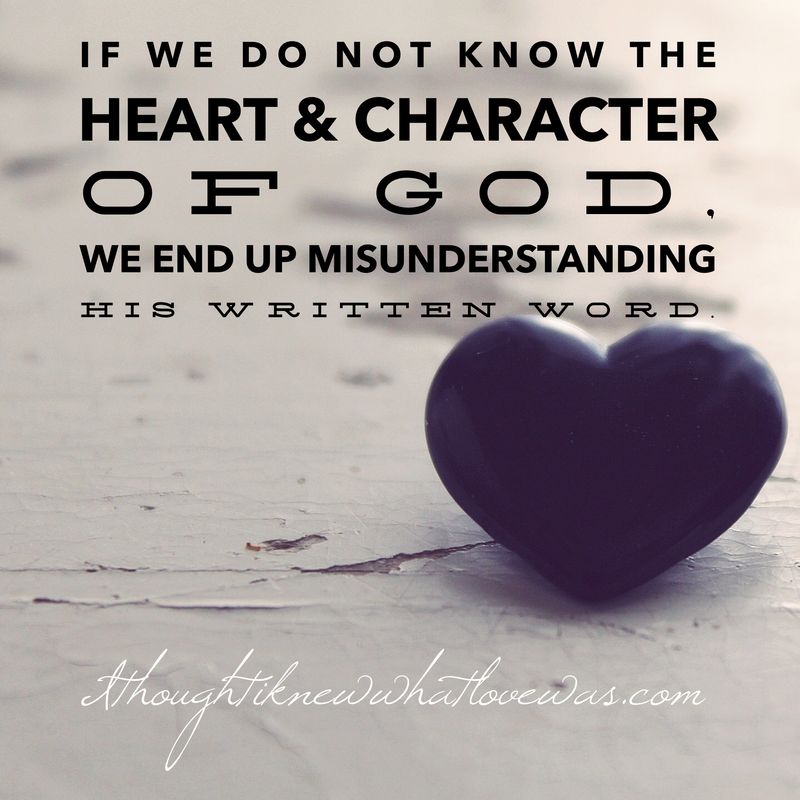 God will not violate His Word, He will challenge and expand our understanding of His Word. To truly understand His Word, we need to know the Author and be led by the Holy Spirit. 4. God is love and He is holy. There’s a love movement that forsakes holiness and it’s not of God, nor is it grace. God will never condone sin because He is holy and Jesus died to free us from slavery to sin. 5. God is good. If what I’m experiencing now isn’t good, I can trust God will work it for eventual good. My definition of good may not match God’s. He never ceases to be good. 6. Asking God for wisdom is wisdom. 7. Humility leads to greater understanding. He is God. I am not. 8. God is infinite. He continues to reveal another aspect of who He is. He doesn’t fit or belong in a box. The beauty is getting to know Him over time. He’s an abounding treasure! 9. God wants to be known by us. More than we want Him, He wants us. 10. When we seek Him, we find Him. Intimacy with God is worth pursuing. Love you dear ones. Lifting you up! Have a blessed week. May it overflow with God encounters and intimacy with God. You are SO deeply loved (John 3:16). I love your phrase – intimacy through proximity. I read your post right after my prayer time this morning, and it was a great way to start my day. I wanted to point out how often in seasons of difficulty we do draw nearer to God, but we should consistently pursue Him at all times. That way it doesn’t take a season of difficulty for us to pull in closer to His presence. I do agree that there’s something about those tough seasons, since we’re clearly not operating on our own capacity, that does help us grow nearer to God. As we are being stretched by God in various contexts, He helps us to understand how the only way we can persevere is when He comes in to fight our battles. I wanted to point out this one typo, because if it were my work I would also want to know if there was something: “I can trust God will work it for eventual God” of course you meant good at the end. I think you bring a lot of excellent points to the table on this list. Humility certainly needs to be a precursor to properly approaching the Lord, and seeking His wisdom, counsel, and help. The bible is clear that it comes before honor, and God resists the proud but gives grace to the humble. “Don’t bypass the process of getting to know God in every season.” <– so important, glad you put it in bold. It's important we cling to God when things are going good, bad, and everything in between. It shouldn't take a disaster, trial, or challenge to get our attention. We need to pursue Him diligently, with all our hearts, every day. I appreciate the sentiment, and of course we know that if we face a difficulty it doesn't mean we failed to pursue God. Look at what happened to Job for instance, one of the toughest trials we can read about in the Bible. Of course, by no stretch of the imagination, does Job's trial even compare with the unfathomable sacrifice Jesus Christ made on our behalf, but on a human level I believe by God's grace for God's glory he was sustained in what I hear is commonly referred to as the "refiner's fire". Job hadn't done anything particularly wrong to deserve the trial, but God allowed it for His ultimate glory, delight, and Job's long-term good. Granted, I wouldn't wish the refiner's fire upon my worst enemy, let alone desire it for myself, but it's important to submit to God's will regardless of where that takes us in life. Hopefully we won't have to go through that particular level of testing, unless somehow God had ordained it to be in our lives, but we don't have to be afraid. God is with us in and out of every trial, from the most insignificant circumstances to the toughest ones. I can see God has brought you through near death experiences (I can relate, praise the Lord for continuing to be alive by His grace for Him), lose of your mom (I cannot imagine how challenging it was, and I know God supernaturally sustained you, and continues to sustain you), and so much more. You are a living testament to God's goodness, rich mercy, and sustaining grace. I pray that you keep writing, and I thank you for your contributions to His kingdom. You are a blessing to me! Love, your brother in Christ. Victor thanks for catching the typo. Fixed it! God bless you! You have a great destiny ahead in Jesus. God longs to be known by U.S. And made a way through His Son!